Dwindling resources, rising poverty, widespread violence and a president incapable of bringing about change. No wonder Yemen’s ambassador to the UK warned this week that his country risks being torn apart by civil war. Abdullah al-Radhi said a peace deal between the warring parties is now imperative and that international donors must honour their pledges of aid. But no one is hopeful. 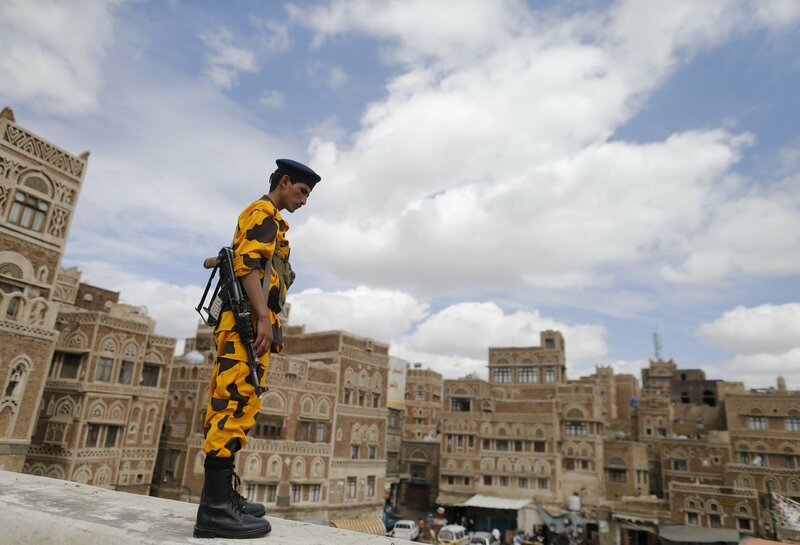 Half the country lives below the poverty line and Yemen is home to a deadly branch of ­al-Qaida, a chilling combination that allowed a rebel group, known as the Houthis, to overrun the Yemeni capital of Sana’a in September. 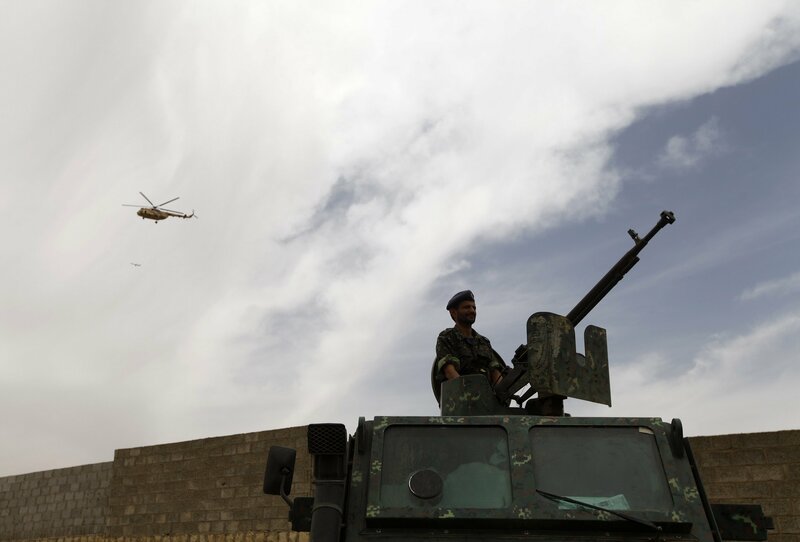 The Houthis took control of government ­ministries, forced the resignation of the prime minister, and focused the ire of their attacks on individuals and institutions representing Yemen’s Muslim Brotherhood, known locally as al-Islah. At least 340 died in the week-long battle that followed, according to the Associated Press, mostly Houthis fighters; some were members of the military who fought back and innocent civilians. While a political agreement struck between the Houthis and Yemen’s president, Abdurabbu Mansour Hadi, promises inclusion, many Yemenis are sceptical of the Houthis’ intentions, not least because the beleaguered Yemeni government gave in to the armed men, who stormed into one of the few areas of the country that had been fully under government control. The Houthis’ takeover also threatens to bring a sectarian-based conflict to Yemen not unlike those being fought in Iraq and Syria. 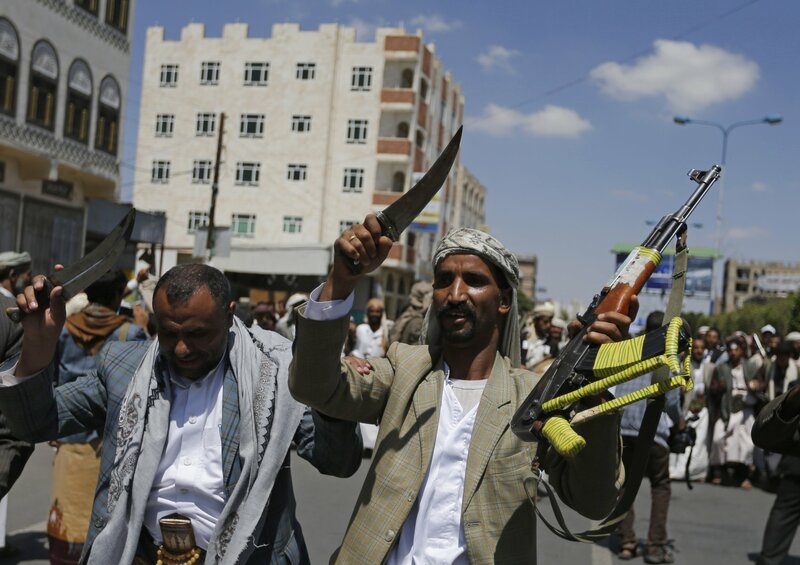 The Houthis are traditionally Shia, and though much of northern Yemen is Shia, the rebels have been receiving support from Iran, financially, ideologically and, according to some US officials, militarily. They preach a Shia’a revivalist doctrine and have been engaged in an on-again, off-again war with the Yemeni state since 2005. 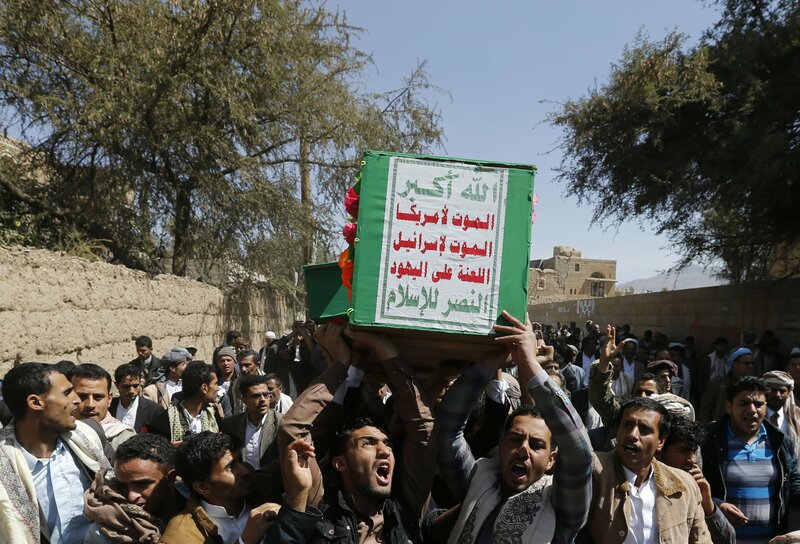 Al-Qaida, meanwhile, has ties to some ­leaders of al-Islah, who the Houthis have targeted. A suicide bomb attack in Sanaa’s busy central square during a Houthis rally last month killed at least 43 people and was the first sign of al-Qaida’s retaliation against the Houthis’ advancement. Though the militant group has been attacking the Yemeni military with more ferocity since Hadi’s leadership began, this was first time they targeted Yemeni civilians in a bombing. While events in Yemen cannot be reduced to a simple Sunni-versus-Shia binary because they are rooted in historical conflicts of family and tribe, it may end up turning into that sort of war. Houthis militias have expanded southward from the capital and entered territory that is controlled by al-Qaida. The ensuing hostilities have killed dozens of fighters and at least 10 civilians, according to reports. In 2011, Yemenis from across many strata of society came out to the streets to protest in a popular uprising that was part of a series of revolts sweeping the Arab world at the time. Activists took to the streets to call for the resignation of President Ali Abdullah Saleh, a corrupt autocrat and ally of the US, who had run Yemen as a military dictatorship for more than three decades. Now the hope of that moment has mostly dwindled. Saleh’s government started to break apart in early 2011, as a result of the protest movement. The US and other Western governments became concerned that al-Qaida could take advantage of the ensuing chaos. During months of political negotiations, Western diplomats negotiated for Saleh to step down. Hadi was installed in power in early 2012. Saleh was meanwhile granted immunity and has lived in Sana’a ever since, consolidating power among his former allies, and, reportedly, stealing expensive wares from his former presidential palace. Meanwhile, Hadi had little political strength aside from the backing of the Western governments and United Nations who installed him in power. Outside factions jostled for more influence. No group did this more effectively than the Houthis. They took over large swaths of territory and, last year, slowly fought their way to the capital, defeating major tribal leaders, or sheikhs, along the way. “We don’t have a clear understanding at this point about their intentions,” said the US State Department spokesperson Jen Psaki in a recent press conference about the Houthis advancement. “Obviously, we continue to encourage all the parties to implement fully all of the provisions of the Peace and National Partnership Agreement,” she said, referring to the treaty struck between Hadi and the Houthis after the militia’s takeover of Sana’a. With the Houthis as the new power brokers in Yemen, this presents a particular conundrum for the US. The Houthis are Iranian-backed and their slogan is “Death to America! Death to Israel!” Yet, they are also staunch ­enemies of ­al-Qaida. On one hand, US President Barack Obama’s top counter-terrorism advisor called Hadi after the Houthis takeover and strongly condemned the rebel group “who have resorted to violence to disrupt Yemen's peaceful transition and threaten the country's stability”. Al-Radhi, the country’s ambassador to London, said all was not lost but that Yemen urgently needs the billions of dollars in pledged aid to be delivered. “We have seen almost none of it,” one of his advisers said, adding that the 40-strong group of nations known collectively as “Friends of Yemen” have done little more than talk about the problem.